Just over twenty years ago, I served four terms on the Young Adult Library Association’s Recommended Books for Reluctant Readers committee, now called Quick Picks. The committee had evolved from the “hi lo” committee to focusing more on titles written for the general YA audience but with appeal and accessibility for the reluctant teen reader. 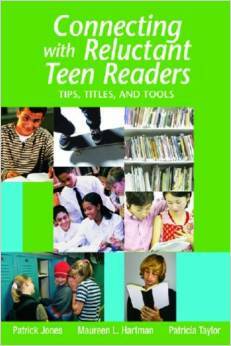 Ten years ago, I co-wrote a book about connecting with reluctant teen readers filled with tips, titles, and tools. Now, it is spring 2015, and I just had five reluctant reader titles in a series called Locked Out published by Darby Creek, an imprint of Lerner Publishing. So, what I’m saying – other than I’m really frickin’ old – is that I’ve been around this issue for a long time. In this blog – which I’ll write on Monday nights instead of watching WWE – I hope to share what I’ve learned, still learning, what I’m writing for reluctant readers, but also and what others know by reaching out to fellow authors, as well as YA lit professors, librarians, teachers, and others. So, tonight, in this very blog..let’s get started with a Power Point about reaching reluctant readers that I recently updated for a presentation at the Keller YA Book Festival. It is filled with tips, tools, and quotes from authors such as Alex Flinn, Gail Giles, and R.L. Stine.